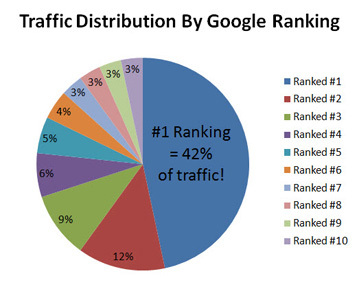 How Much Traffic Can #1 Google Rankings Bring? Thanks to Start Up Biz network for sharing this great write up about how to get top rankings in Google! What I liked most about the write up was the graph they put together showing the percentage of traffic that each ranking position in Google brought. 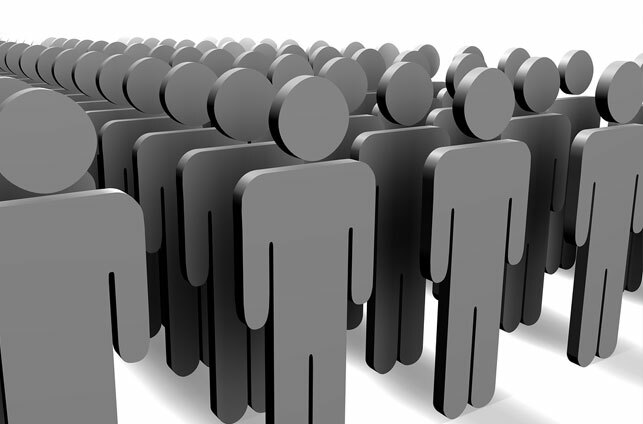 We all know that top rankings in Google are key to increasing traffic to your website. But what most people, including myself, didn’t realize is just how much traffic those top rankings can deliver, in percentage terms. As you can see, the #1 ranking position captures 42% of the lion’s share of traffic compared to all other ranking positions. Also notice that page 2 and beyond are not even considered in this scenario.